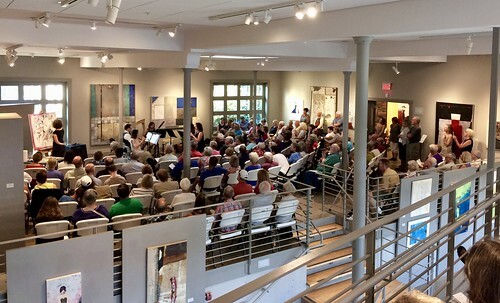 Thank You to everyone who came out to experience “A Celtic Summertide” with us at the Oliver Art Center in Frankfort! It was a lovely evening of music and art made all the lovelier by the warmth of your company. 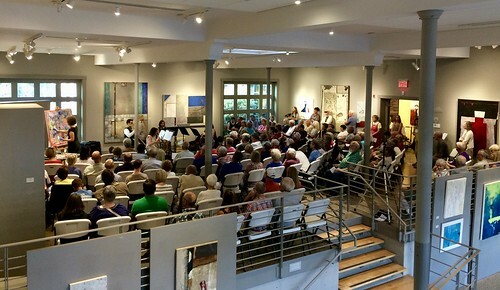 The gallery became filled to capacity before the concert began and so many audience members were asked to sit in hallways or stand where possible. Unfortunately many others had to be turned away due to legal limits for capacity at the venue. We apologize for any disappointment and inconvenience this may have caused any of our friends. As part of our planning for the next summer concert in Frankfort, we are working to secure a larger venue in the hope that you will all join us again for another wonderful evening. 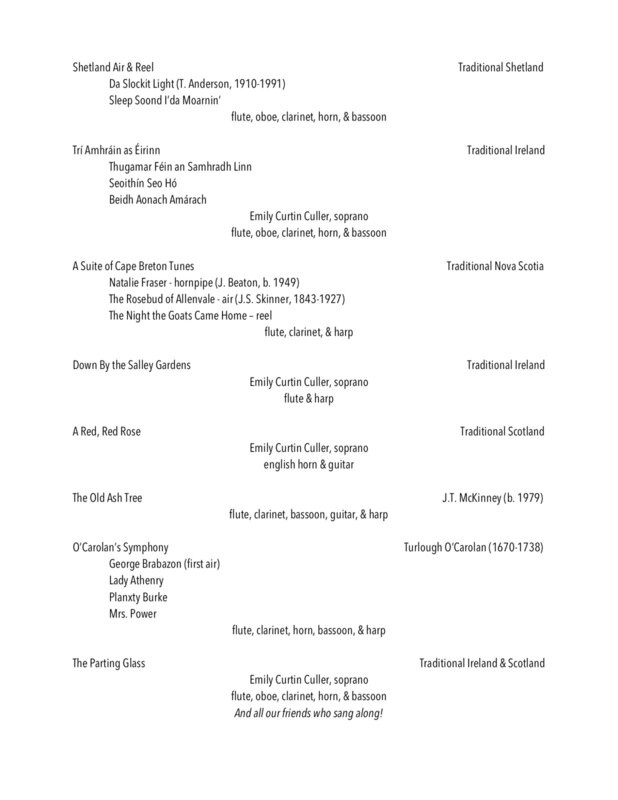 The concert program was a journey across the Celtic realm with music from the Shetland Islands, Scotland, Ireland, and Nova Scotia in many different combinations of instruments. We were honored to be joined by Emily Curtin Culler, soprano, who premiered a brand new collection of traditional Irish folk songs set for soprano and wind quintet. 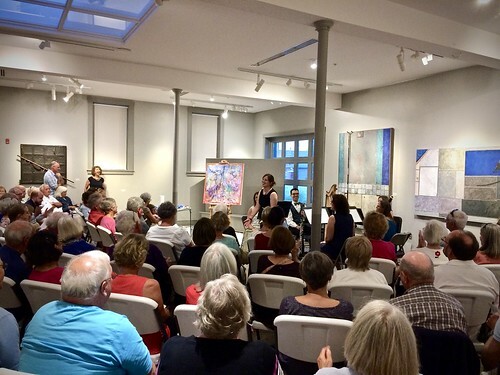 In addition to the musical journey, we were delighted to be joined by Frankfort artist, Ellie Harold, who dazzled our audience by bringing a brand new painting to life over the course of the program. Just a few days before the performance, our founder, Jason McKinney, was invited to perform in Studio A at Interlochen Public Radio and share a bit about the program and talk about working with the music of Turlough O’Carolan. 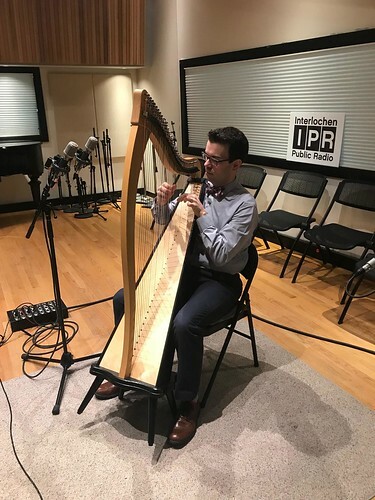 You can listen to the full interview here and watch Jason performing a harp solo in Studio A on the IPR Facebook Page. Thank you to our entire Northern Michigan community for helping to make our performance a success. We are especially grateful to all those who gave donations toward our upcoming recording project.